Ornately designed, solid 14K gold, cross pendant with beaded accents around the edges and, at the center, a sweet little heart. 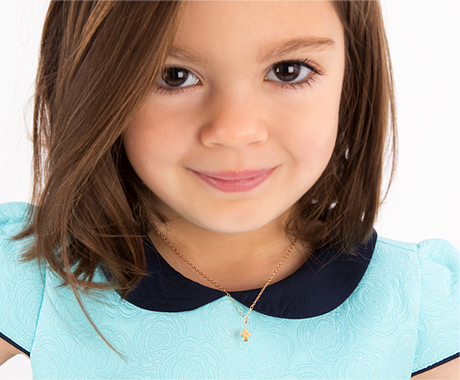 A meaningful gift for the little angel in your life. *Includes extendable 13" to 14" solid 14K Italian Gold Chain or choose a longer length for a small upgrade. All Stocking Stuffer Sale items are final sale. Due to the deeply discounted prices, all Stocking Stuffer Sale products are sold as is and do not qualify for returns, exchanges, or refunds.